BrainCo, a startup developing wearables to help people focus, has raised $5.5 million and will launch their product Focus 1 at CES 2017. 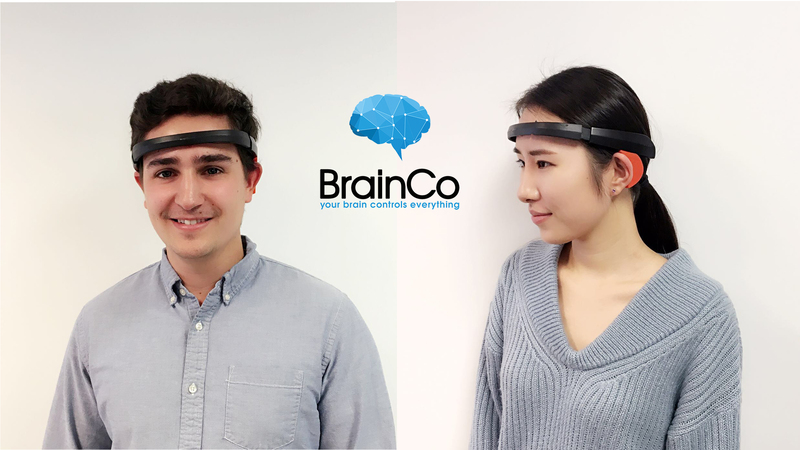 SOMERVILLE, Mass., Dec. 14, 2016 /PRNewswire/ -- Founded in February 2015 and incubated in the Harvard Innovation Lab, BrainCo specializes in BMI wearables that help people improve their attention level and working efficiency. The company raised $5.5 million in a Pre-A round led by Boston Angel Club, Han Tan Capital, and Wandai Capital. The model tries to use Focus 1 to control robotic hand. BrainCo has grown rapidly, having already received 20,000 orders from a Chinese company. They will launch their first product, Focus 1, at CES 2017. 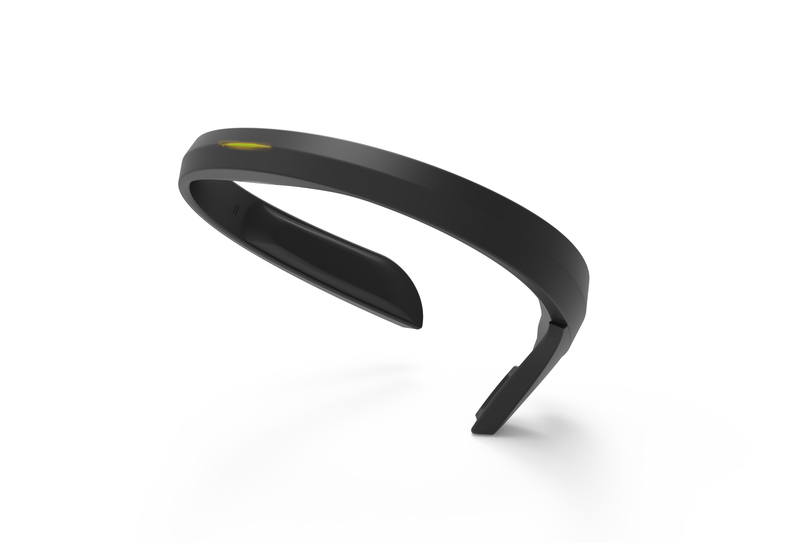 Focus 1 is a wearable headband that can help children and teenagers improve their attention levels with a home-based device through a scientifically-proven method called neurofeedback training. They will start a clinical trial in March to assess how Focus 1 can help kids with ADD/ADHD improve their attention related symptoms. By detecting electrical signals in the brain, Focus 1 is able to display real-time brain activity and utilize that data to help regulate brain function. Users can put on Focus 1, play a training game called Oasis in BrainCo's mobile application and improve their concentration skills. 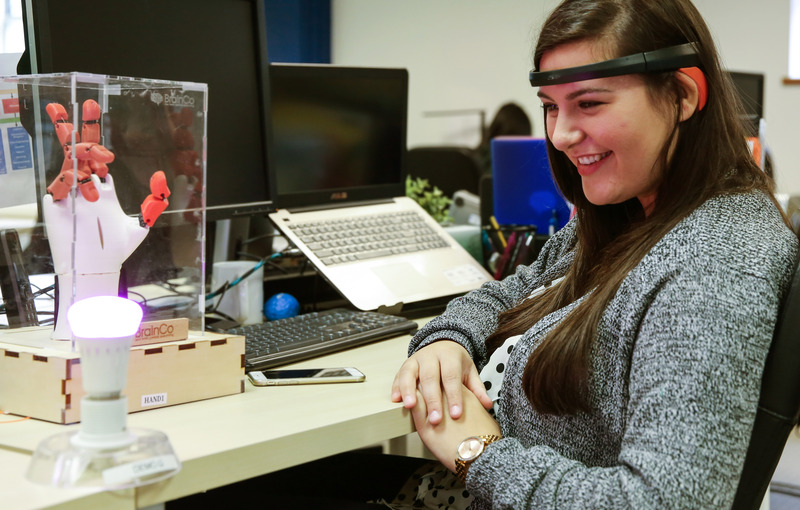 Focus 1 can also convert brainwaves into various commands that control different devices such as lights, prosthetic hands, toys, and appliances. "During my research at Harvard Center for Brain Science, I realised that EEG (electroencephalography) can help train the brain and improve focus. So I founded BrainCo to give everyone access to the latest technology," said BrainCo Founder and CEO, Bicheng Han. "BrainCo aims to help people sharpen their focus and train their brain on a daily basis, and our fantastic team has been making every effort to achieve this goal. Together, we have a vision of improving people's daily focus and productivity, and this latest round of funding has given us the opportunity to bring that vision one step closer to reality." For more information regarding BrainCo and to see why so many investors and competitions are rewarding their efforts, visit BrainCo.Tech today.